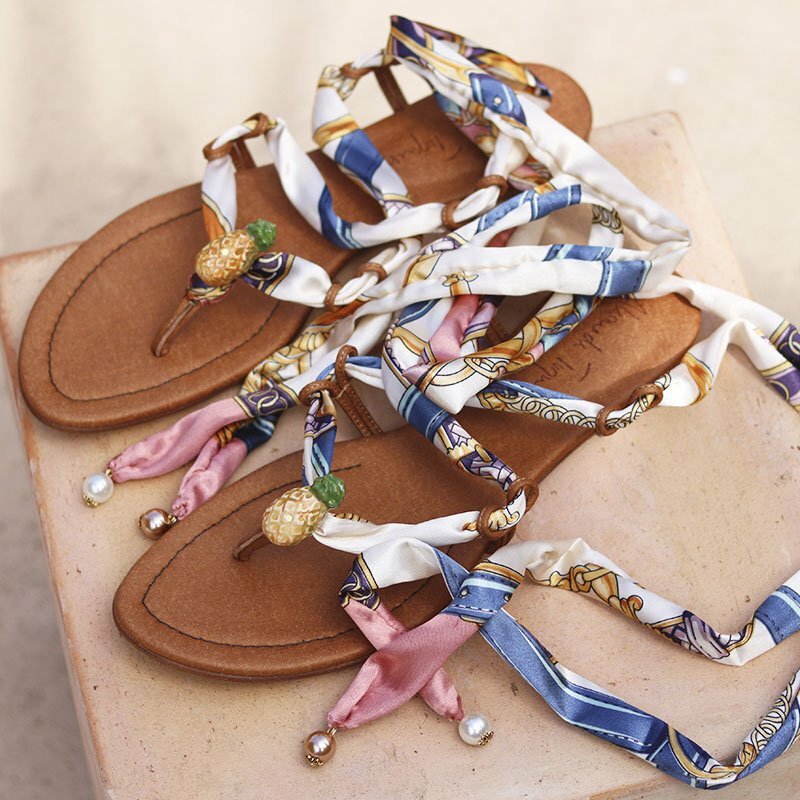 These ‘Bela’ lace up sandals offer a creative and unique twist on the classic gladiator style. A mostly vanilla silk straps wraps around the foot and ankle. They’re finished with the AlamedaTurquesa’s signature pieces with our unique fruits, this one a pineapple, handmade and hand painted by our portuguese artisans. Wear them with simple white clothes or with your favorite summer dress, it goes along with anything and everything.